For years, we have supplied stoneware to breweries big and small all over the country, but we naturally have a soft spot for some of the craft brews found right in our home state of Wisconsin. With summer just around the corner, we'd like to give a preview of a brewery tour you could take around our fair state. 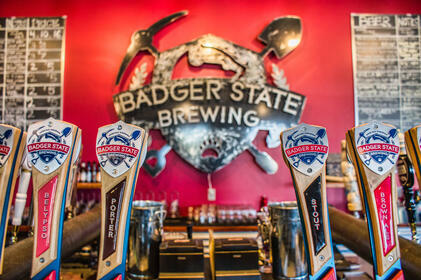 The only caveat: Wisconsin has over 150 craft breweries, on top of numerous larger-scale brewing companies. It has so many breweries to choose from all over the state that we had to divide this series of blog posts up by regions. Today, we're taking a look at some of the top breweries in Northeast Wisconsin, including the greater Green Bay and Fox Cities areas, where you might find a Sunset Hill Stoneware mug or custom beer stein for your collection. 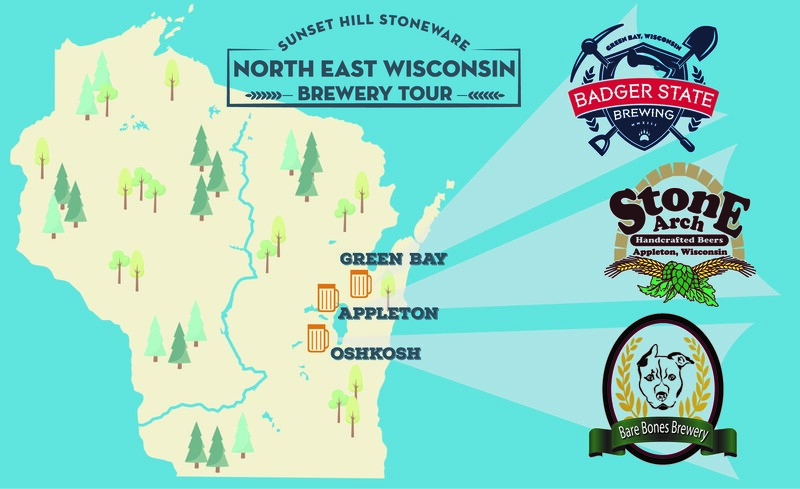 Find all our Wisconsin brewery tour stops with this map. As always, please enjoy these hometown favorites responsibly. Found in the shadow of Lambeau Field in the heart of Green Bay, Badger State Brewing Company has beers in every color of the rainbow on tap, from the Walloon Wibier to the Dubious Ruffian Chocolate Stout, and with a few other surprising twists in between. They're a perfect place to stop and grab a pint (or three) with friends after making the Packers fan pilgrimage to Lambeau, and they offer plenty of seasonal options. Once each summer, they offer Mangotopia, an Indian pale ale brewed with mango tea for a slightly fruity, floral aroma. Be on the lookout for this annual treat if you decide to take a tour of Titletown in the summer. On top of having enough delicious beers to feed an army, Badger State Brewing Company also actively promotes causes in the greater Green Bay Community. Just a few of the charity events they've held in the past include a Clean Water Challenge event with the Izaak Walton League, Girl Scout Cookie & Beer Pairings to support local Girl Scout troops and an annual Barkin Beer Fest for the Wisconsin Humane Society. 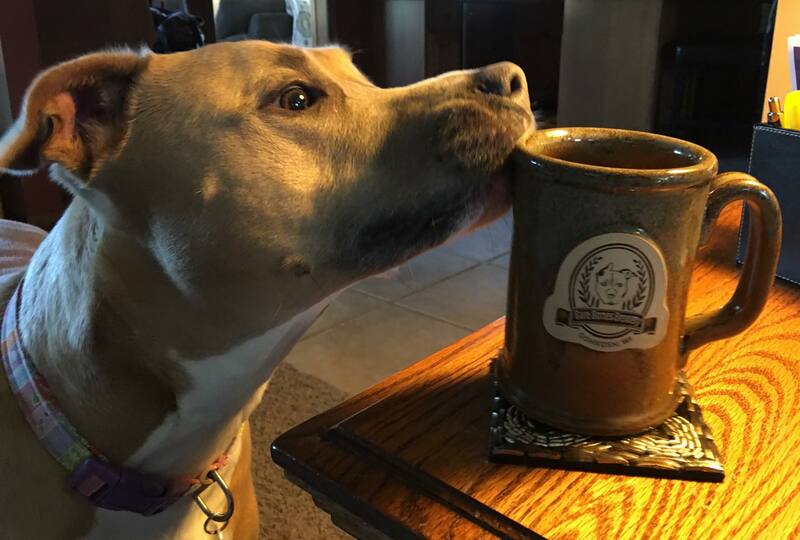 After you're done sampling your share of brewskies, be sure to ask about their special edition ceramic coffee mugs, made custom for Badger State Brewing Company less than 40 miles away. 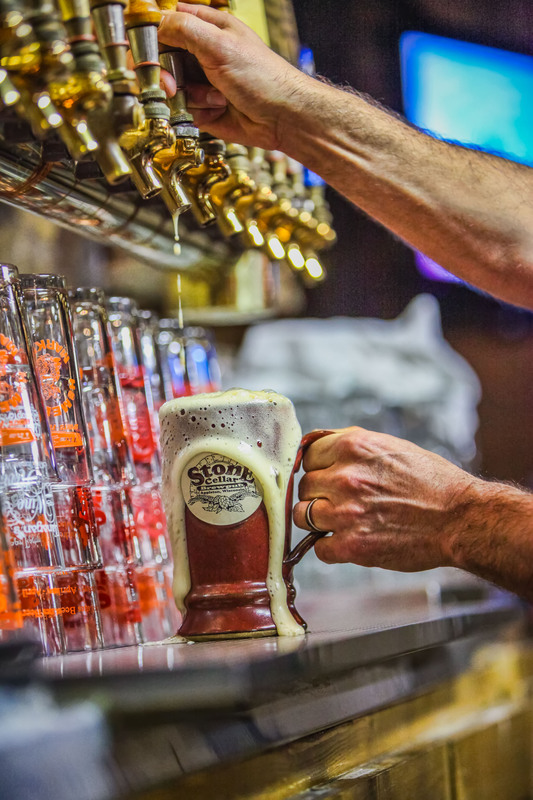 Stone Arch Brewpub has been serving up cold ones in its current iteration since 2004 and has a long history serving students and seniors alike in the Appleton area. The taproom has over 14 different, house-made beers on draft in several unique flavors. Just a few of the highlights include a Coffee Brown Ale, the Marquette Pilsner and a house specialty Smoked Porter said to taste like a campfire in a glass. In addition to all of their in-house offerings, Stone Arch Brewpub also plays host to a number of domestic craft beers from around Wisconsin and as far away as Vermont, including the distinctively named Snaggletooth Bandana from Solemn Oath Brewery in Naperville, Ill. Multiple times each week, the brewpub also collaborates with Mile of Music for Rhythm & Brews. This free mid-week concert series features popular acts from Appleton's Mile of Music Festivals, including musicians from all around the country while patrons can enjoy Stone Arch's craft beer. While you're settling in with a pint of your favorite IPA, be sure to ask about the ceramic beer steins and coffee mugs they have available from Sunset Hill Stoneware. Just a stone's throw away from U.S. 45, Bare Bones Brewery is found on the outskirts of Oshkosh and has established a foothold in the area since 2015. Contrary to their name, Bare Bones Brewery's battery of beer is anything but. Their flagship beer, Dog Daze, leads a pack of brews with creative names, many of which are canine-themed. There's a brew for every beer lover, from classic stouts to ales with strawberry and jalapeño. On Thursdays throughout the summer of 2018, the brewery will host Independent Racket Nights, an original music series with 18 different bands playing early in the evening. They will also host musicians like Milwaukee native and college-circuit darling Pat McCurdy and The Presidents to mark the unofficial start and end of summer on Memorial Day and Labor Day weekends this year. In addition to all of the craft beers they have on tap, Bare Bones also has a mug club for its most loyal fans. Be sure to ask about how you can join, and keep an eye out for new stoneware beer steins at Bare Bones this summer.